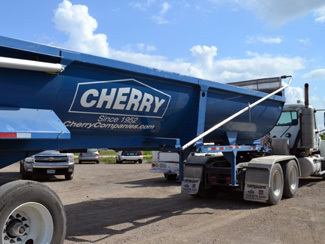 Our large stucco trailers are designed to haul steel, construction and demolition debris. Half-round end dump tractor/trailers are well suited for hauling recycled aggregate and concrete. Tractor/trailers can deliver dumpsters for washout boxes, cement and tires for recycling.